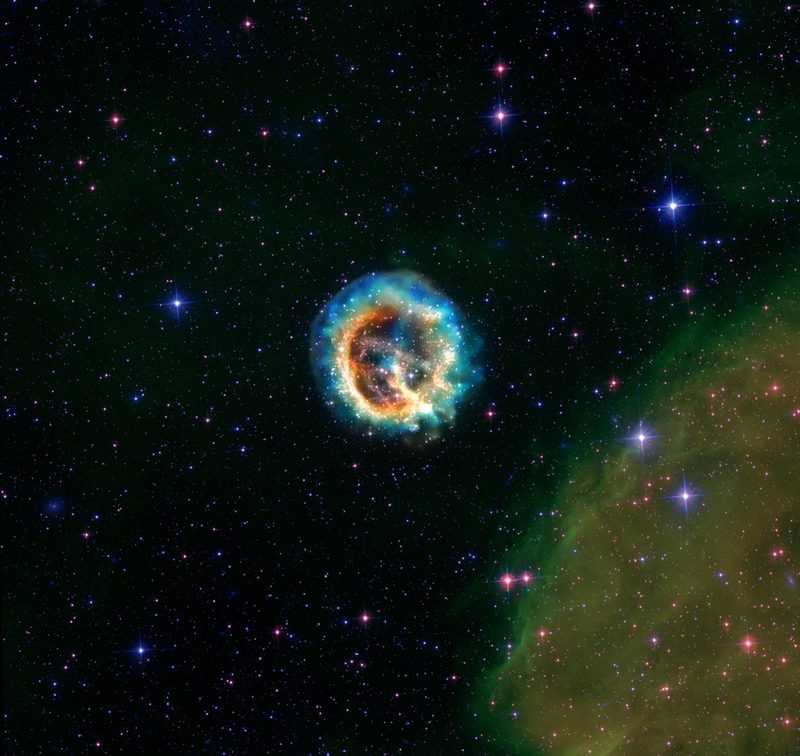 These images from the Chandra and Hubble telescopes show new details of the aftermath of a massive star that exploded and was visible from Earth over 1,000 years ago. 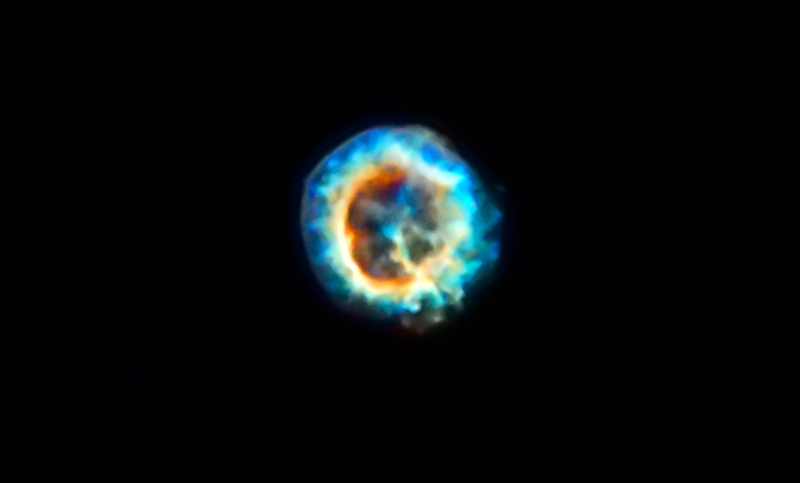 The Chandra data shows an outer blast wave produced by the supernova (blue) and an inner ring of cooler (red-orange) material. 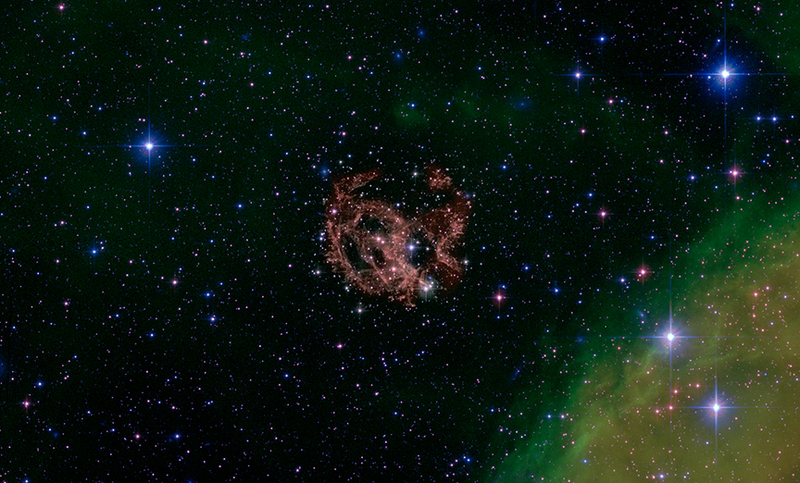 By examining the spectra of the X-rays, astronomers have new information about the geometry of the remnant, which, in turns, has implications for the nature of this explosion. At a distance of only 190,000 light years, the Small Magellanic Cloud (SMC) is one of the Milky Way's closest galactic neighbors. With its millions of stars, the SMC offers astronomers a chance to study phenomena across the stellar life cycle. 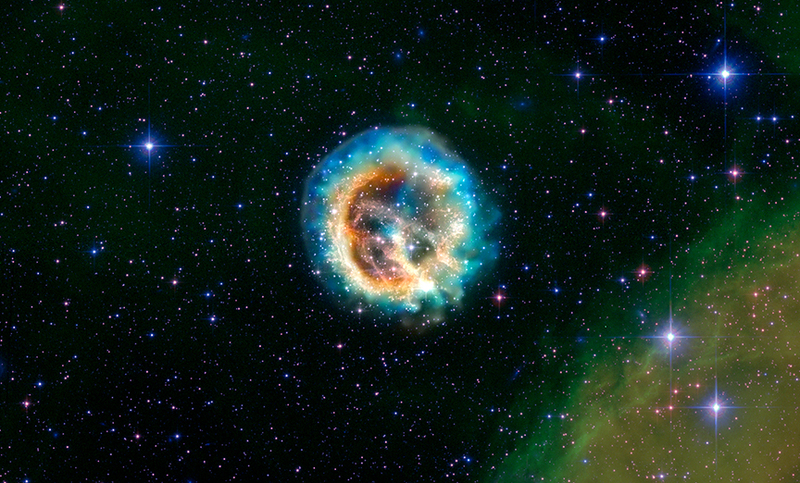 In various regions of the SMC, massive stars and supernovas are creating expanding envelopes of dust and gas. 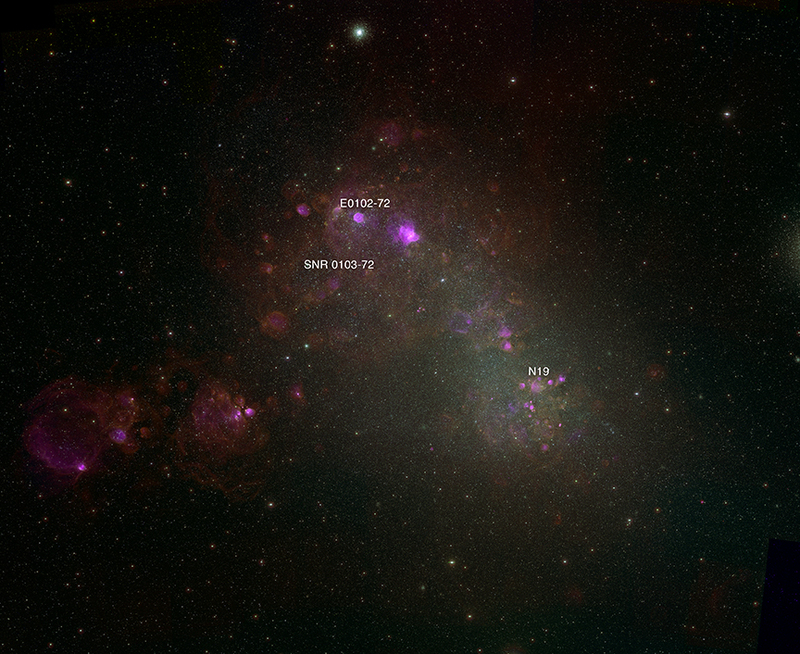 This h-alpha & optical image shows the location of supernova remnant E0102-72 and two other remnants Chandra has observed, N19 and SNR 0103-72.